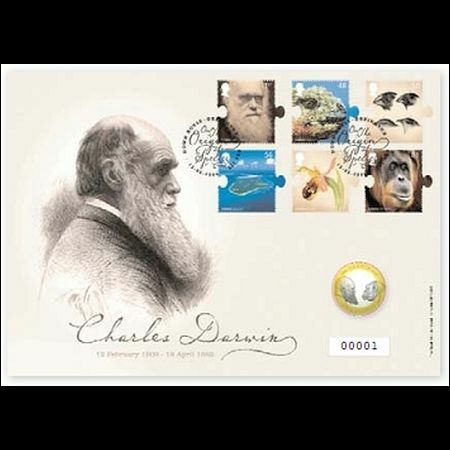 United Kingdom 2009 " The 200th anniversary of Charles Darwin's birth and the 150th anniversary of On the Origin of Species"
Author The self-adhesive stamps are designed by hat-trick Design The conventionally gummed miniature sheet is designed by Howard Brown The Prestige Stamp Book is designed by Howard Brown with text by Eugene Byrne. 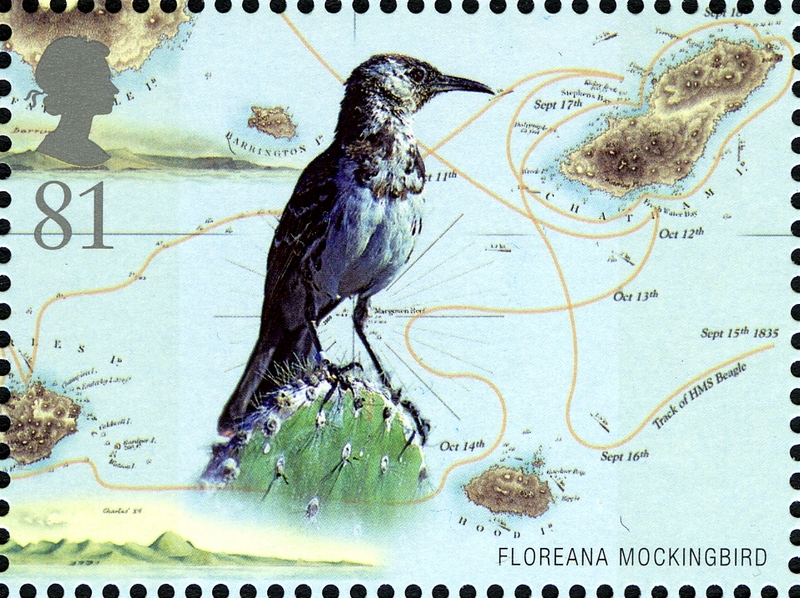 Miniature Sheet. 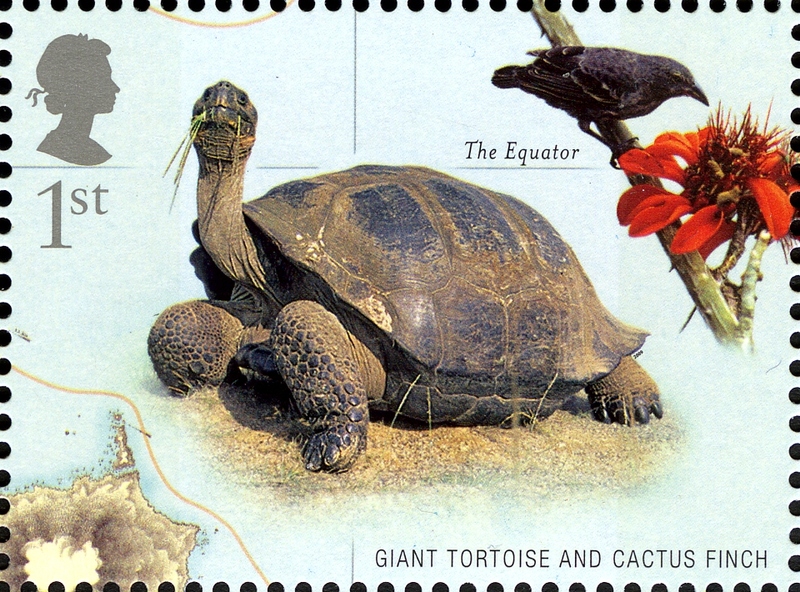 Stamps showing some of the unique wildlife of the Galapagos Islands. 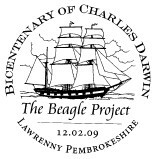 The animals are shown against the background of the map produced on the Beagle mission. 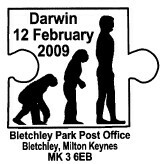 Size (width x height) self-adhesive stamps 35x33mm plus the 'puzzle'-type tab, Mini-sheet size 115 x 89mm, with stamps 41 x 30mm. 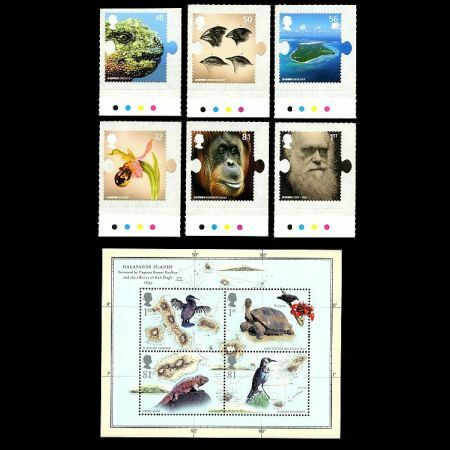 Ten colourful Philately celebrates the 200th anniversary of Charles Darwin's birth and the 150th anniversary of On the Origin of Species. 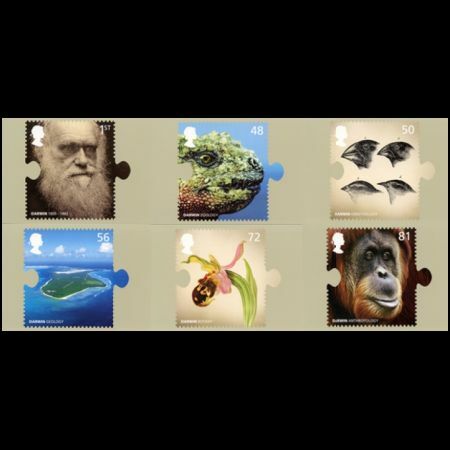 Julietta Edgar, head of special stamps, Royal Mail, said: "Charles Darwin's ideas triggered a revolution in the understanding of how species evolve. 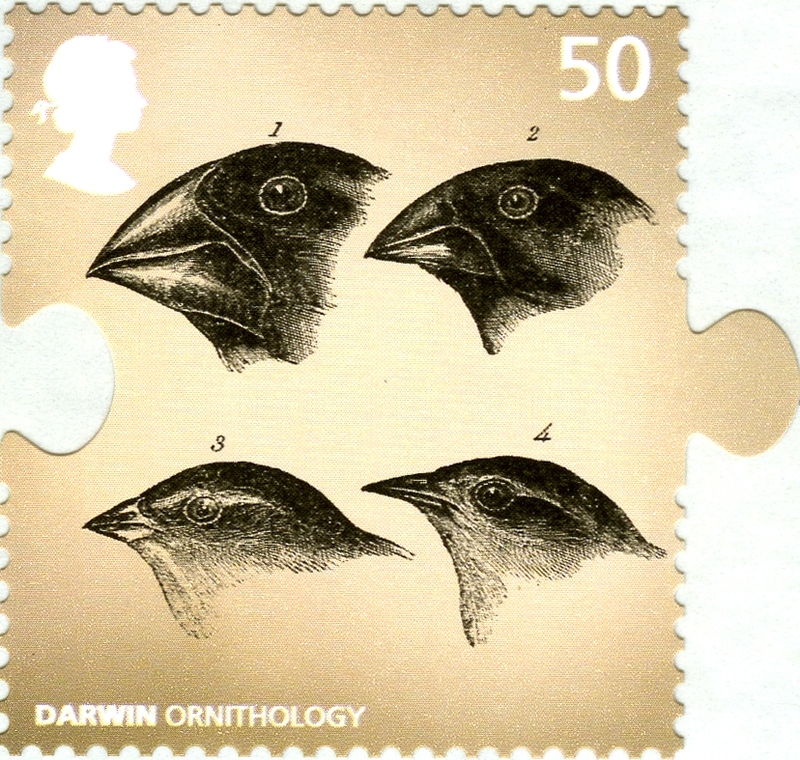 The brilliance of his thinking is symbolised in the unique design of the stamps the jigsaw shape suggests how Darwin was able to draw on his different areas of study to formulate groundbreaking new ideas." Royal Mail also issued a separate set of tamper-proof stamps today, which have improved security features to stop users peeling used stamps from envelopes which have not been franked and reusing them. 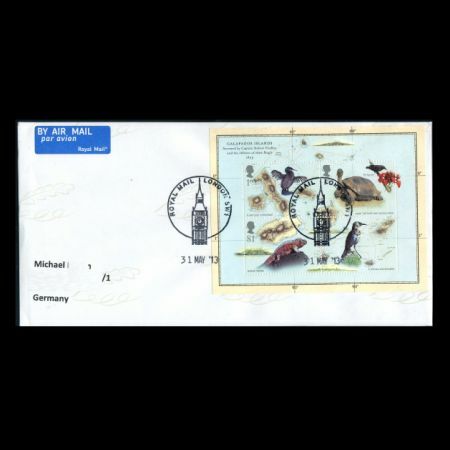 Part of a sticky film covering the stamp will remain on the envelope and thwart fraudsters. 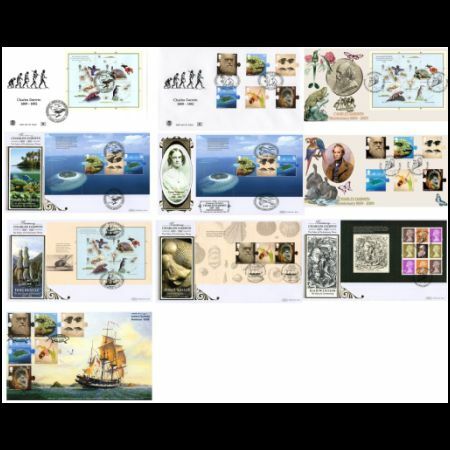 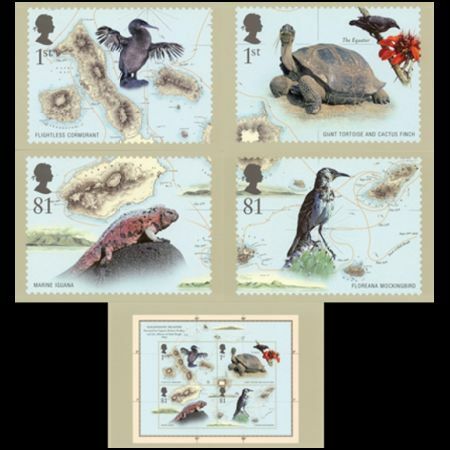 The new stamps will also be printed on the same tamper-proof paper used for currency. 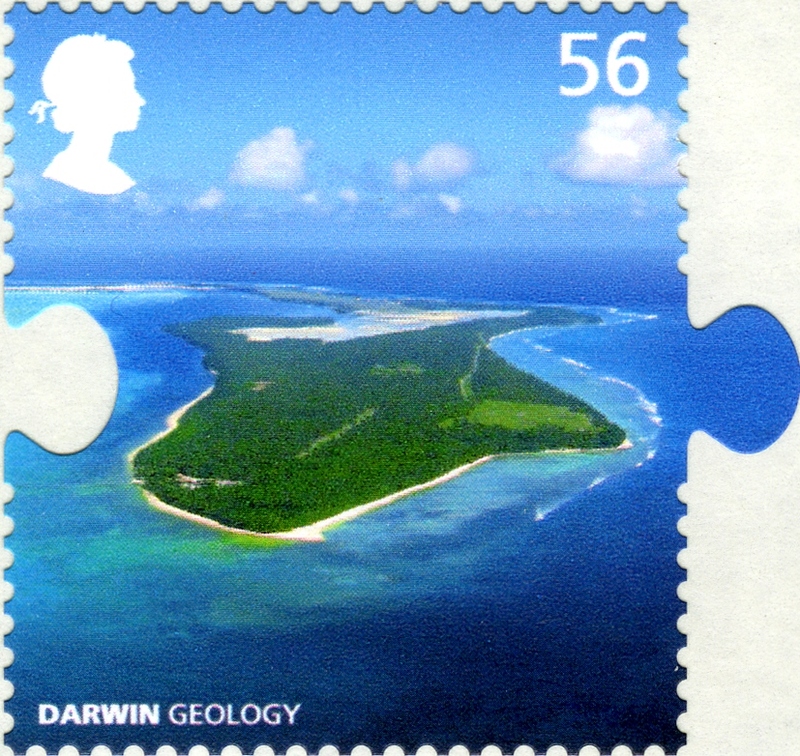 They are called the Machin stamps, named in honour of the (late) artist Arnold Machin, who created the classic image of the Queen which features on British stamps and coins. 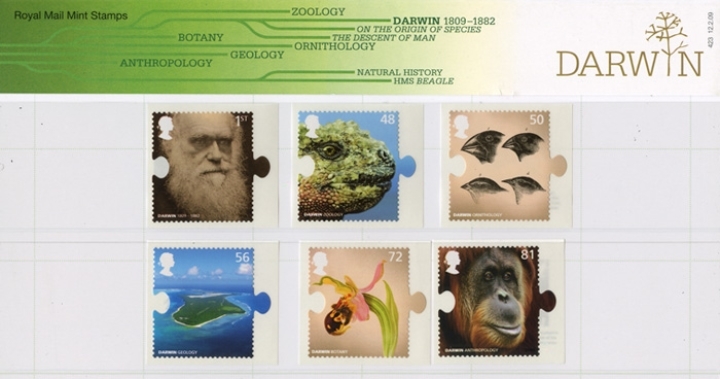 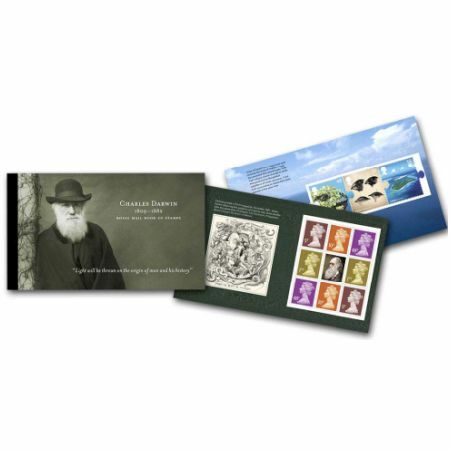 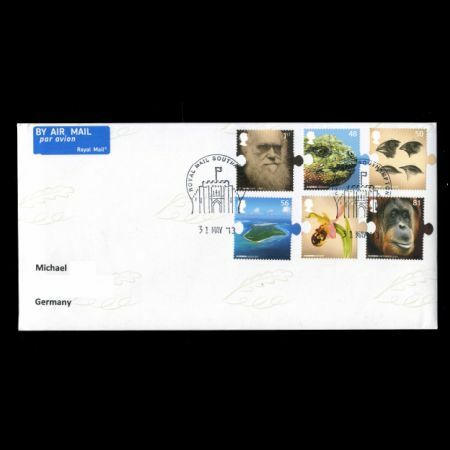 The Royal Mail's stamps commemorate Darwin and the areas of study which inspired his ideas on evolution: zoology, botany, geology, ornithology and anthropology. 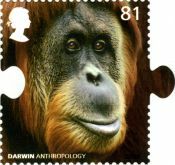 The six "jigsaw" shape stamps symbolise how his studies of different disciplines came together to form new ideas on evolution. 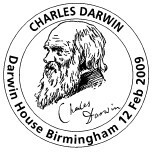 1st class shows a portrait of the man himself while the others show Darwin's areas of study that helped to contribute to his ideas on evolution: Zoology, Ornithology, Geology, Botany and Anthropology through a mixture of present day photography and relevant archive material from Darwin's time. 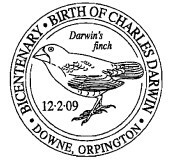 Born at the Mount, Shrewsbury on 12 February 1809, Darwin studied at both Edinburgh and Christ's College, Cambridge before in 1831, aged just 22, he embarked on a five year journey to south America, and beyond, aboard the HMS Beagle. 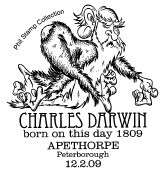 He died on 19 April 1882 at Down House, Downe, Kent. 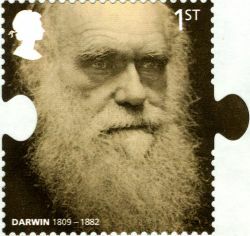 More than two decades after his return he eventually published On the Origin of Species by Means of Natural Selection in 1859. 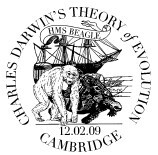 Darwin wanted to unravel 'the mystery of mysteries - the first appearance of new beings on Earth', and his book immediately challenged the established beliefs concerning evolution that were commonly held at the time, triggering a scientific revolution that still causes debate today. 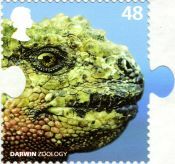 Zoology (48p) is represented by a photograph of a Marine Iguana, just like the uniquely adapted reptiles observed on the Beagle Voyage. 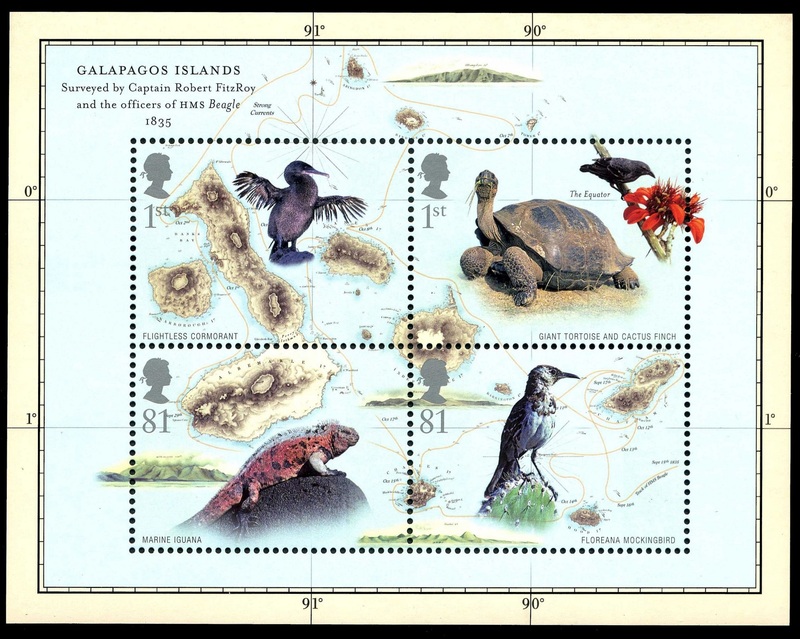 Royal Mail has also produced a special sheet of four stamps illustrating the unique wildlife of the Galpagos Islands that includes the Flightless Cormorant, Giant Tortoise, Floreana Mockingbird and Marine Iguana, and which builds up into a contemporary map of the Galpagos Islands with the key species Darwin studied in the 1830s during his voyage as Ship's Naturalist on the hydrographic survey ship HMS Beagle. 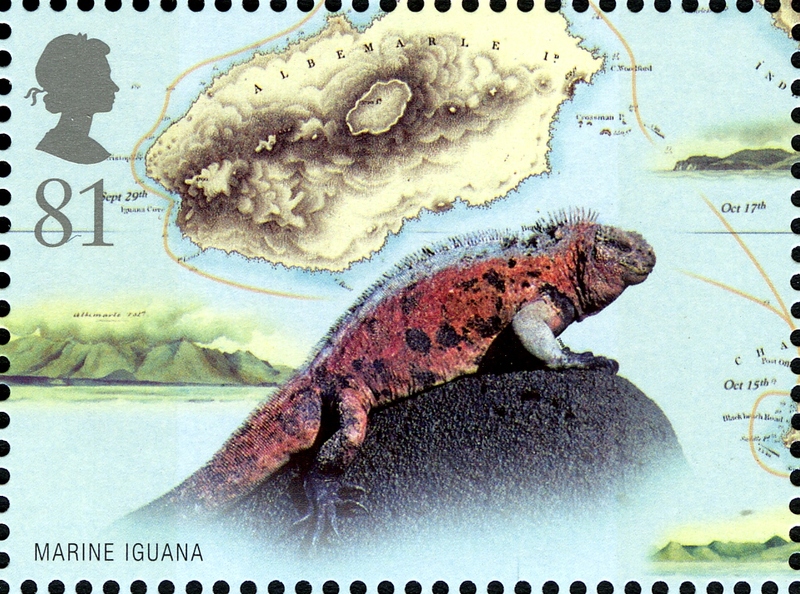 The animals of these isolated islands and how they showed evidence of variation and evolution had a profound influence upon Darwin's theory of natural selection. 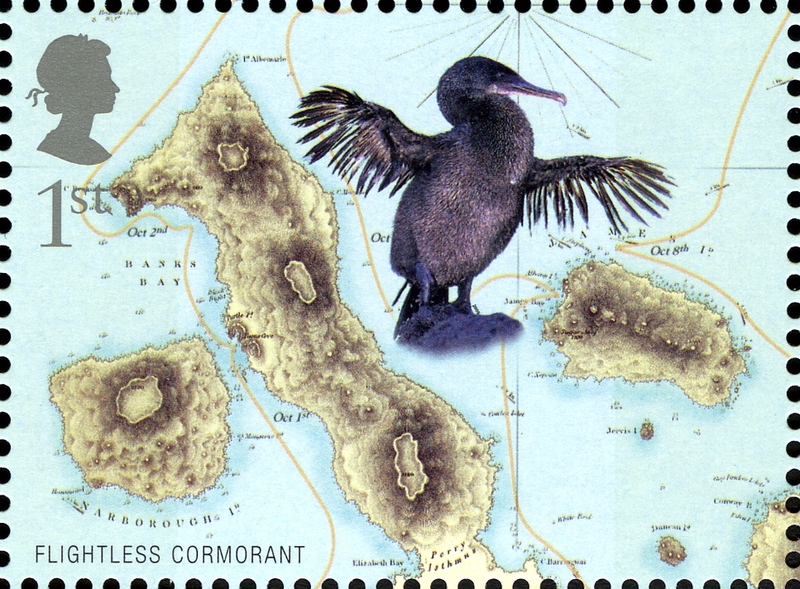 The animals are shown against the background of the map produced on the mission by Captain Robert Fitzroy. 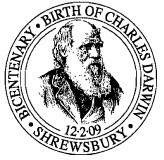 The town of Darwins birth, Shrewsbury, has been selected as the postmark for this issue. 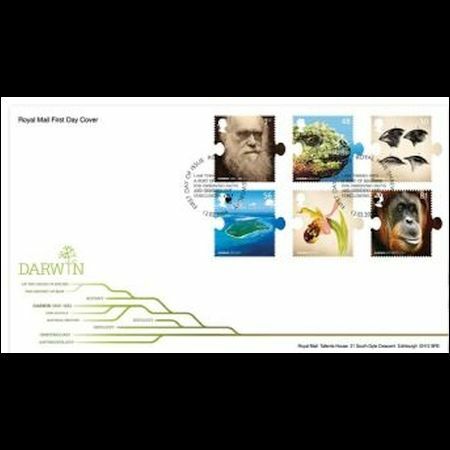 Inside leading science historian Professor Dorothy Porter provides an explanation of Darwins tree of life. 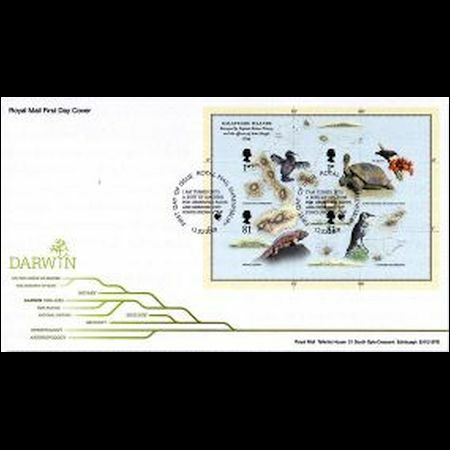 The Presentation Pack is a fold out design is packed with Professors Dorothy Porters insight into Darwins life and the influences that led to his theory of Natural Selection. It contains all six Darwin Mint Stamps and the Miniature Sheet. 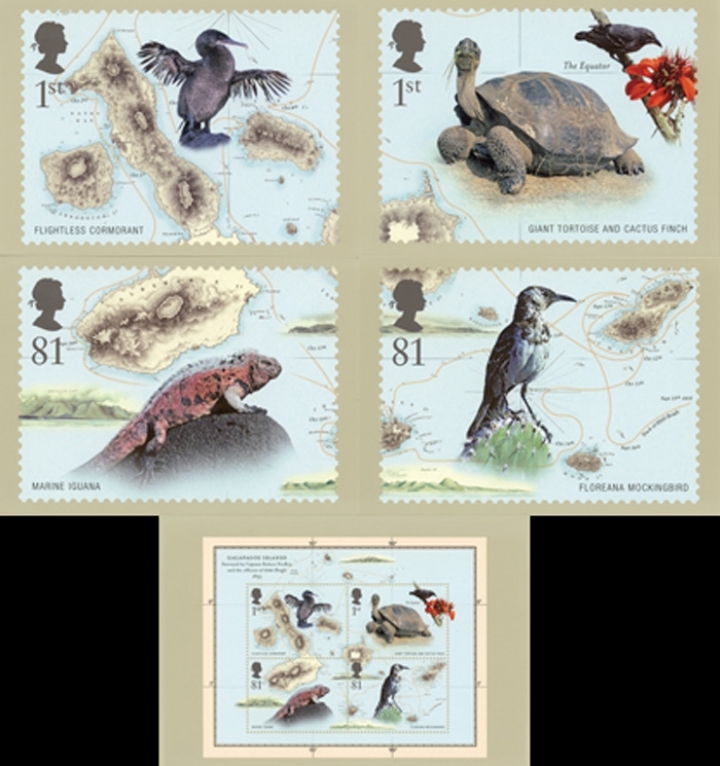 Royal Mail and the Royal Mint have produced an exceptionally fine Coin Cover for this issue, featuring the six Darwin stamps. 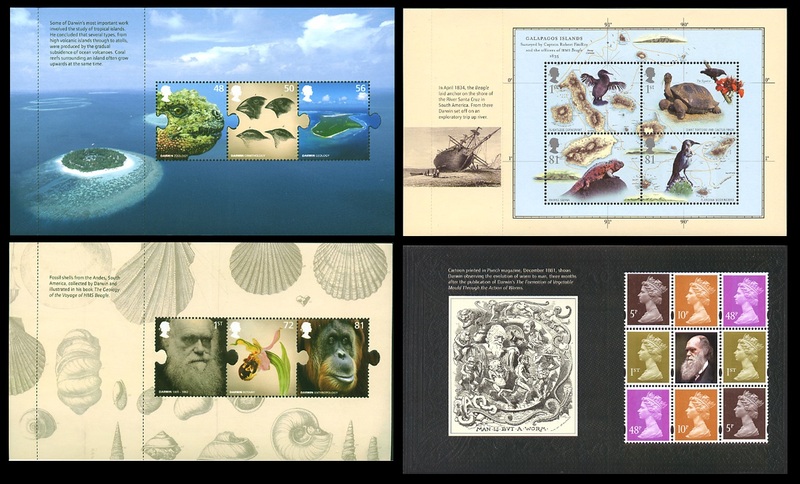 Designed by Thyme Design Associates, it contains a six-page insert card featuring the Miniature Sheet and Royal Mints 2 Commemorative Coin. 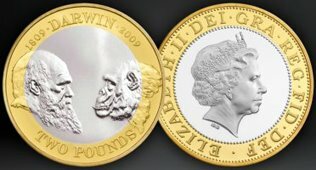 The obverse of the coin is designed by Ian Rank-Broadley, while the reverse designed by Suzie Zamit, features a profile of Darwin facing an ape. 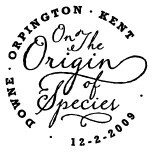 The edge inscription on the coin reads; On The Origin of Species 1859. 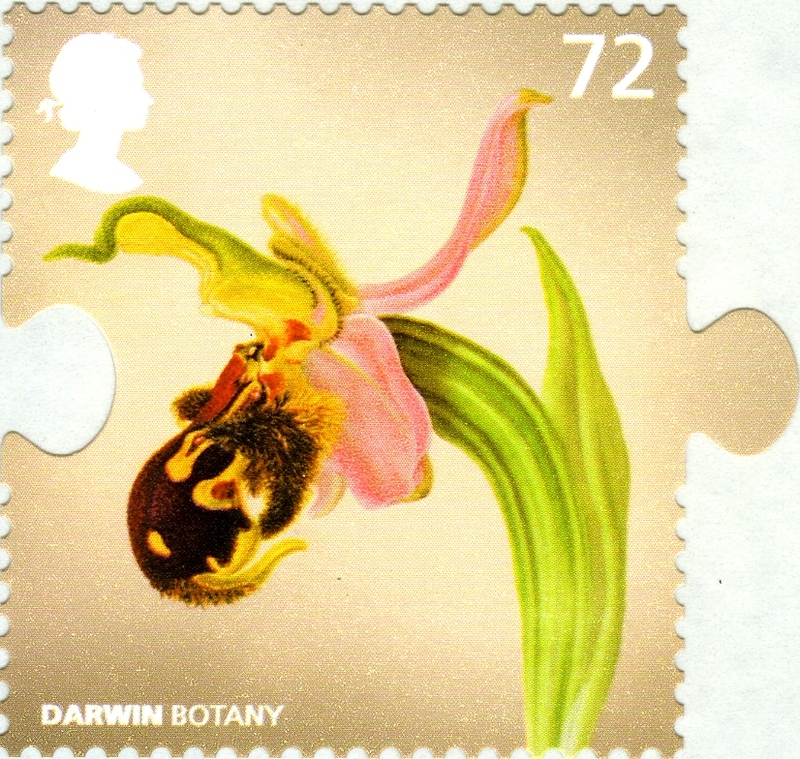 The Prestige Stamp Book includes a fascinating account by noted writer Eugene Byrne who provides his own take on Darwins life, influences and legacy to discover how this Shropshire lad became perhaps the worlds greatest naturalist. 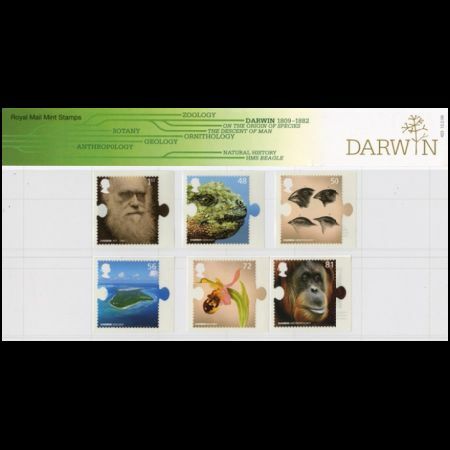 It contains four panes of stamps; two of the panes include three of each of the Darwin stamps in a unique gummed format, the third features the whole Miniature Sheet, and the final pane is of mixed definitive stamps. Philatelic Bureau Official Postmark Ref FD906 Shrewsbury Official Postmark "I am turned into a short of machine for observing facts and grinding out conclusions."